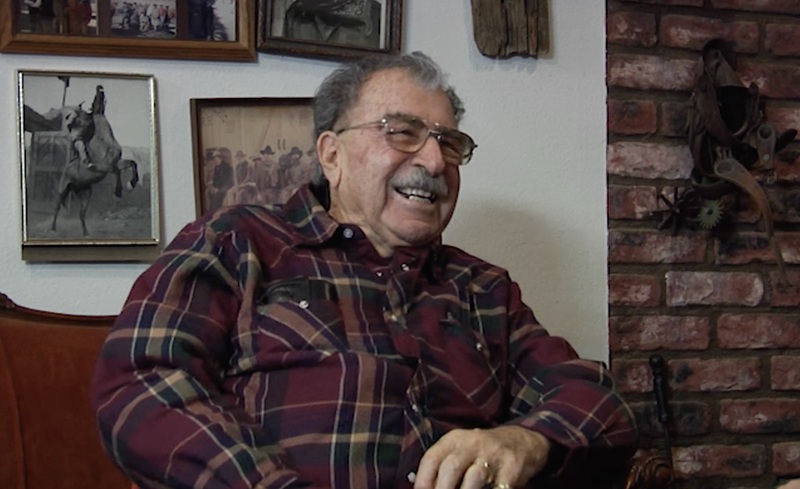 From his memories of Charlie Manson cowboying in Saugus to his own crazy-talented horsemanship in Mel Brooks’ “Blazing Saddles,” multi-award-winning Western stuntman Jack Lilley leaves no stone unturned in this interview with then-Mayor Bob Kellar and SCVTV’s Leon Worden. When I was a kid, Jack used to come shoe my horse. loved talking with him…didn’t know much about his movie roots. I had my horse diamond stabled with Jack Lilly ..met Billy Crystal and road his horse beachnut …we went on trail rides with Jacks son Burkey to teach Billy Crystal how to ride ! So long ago glad to see you are still doing this Jack Lilly ! Wonderful interview. One can learn more about the business, it’s stars, crews, and what really went on behind the camera, from folks like Mr. Lilley than from the Hollywood Reporter or any of the glib hollywood “insider” tv rags. Keep doing these please, they’re great! I was delighted to see this post. Growing up I boarded my horse at Jack’s Ranch. There was always a flurry of activity and fun from the trainers in the arena and the ranch hands. From third grade I would walk to feed, groom and ride my horse there. It was in my memory, magical. An all aroung great man who contributed his talent and charm to SCV’s history.